This page uses content from the Rachel Weisz biography page on the English version of Wikipedia and is licensed under the GNU Free Documentation License. This list of authors can be seen in the page history. latesthollywoodupdates disclaims any and all warranties as to the accuracy or reliability of the content. 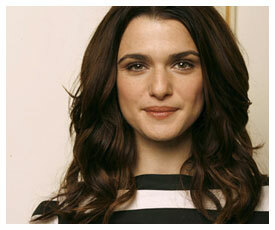 Rachel Weisz (born March 7, 1971) is an Academy Award, Golden Globe-winning, BAFTA-nominated English actress. Weisz (surname pronounced or “vice”; it is a variant spelling of the German word weiss, “white”) was born in London, England and grew up in Hampstead. Her father, George Weisz, is a Hungarian-born inventor whose family fled to England to escape Nazi persecution. Her mother, Edith, is a Vienna-born Austrian psychoanalyst and aspiring actress. Weisz’s father is Jewish and her mother has been referred to as either Catholic, Jewish, or having Jewish ancestry. Weisz has referred to herself as Jewish. Weisz was educated at North London Collegiate School, from which she was expelled. She was then sent to Benenden School and eventually settled when she was about 13 in St Paul’s Girls’ School. She then entered Trinity Hall, Cambridge, where she graduated with a 2:1 in English. During her university years she appeared in various student productions, co-founding a student drama group called Cambridge Talking Tongues, which went on to win a Guardian Student Drama Award at the Edinburgh Festival for an improvised piece called Slight Possession. Her breakthrough role was that of Gilda in Welsh director Sean Mathias’s 1995 West End revival of NoÃ«l Coward’s 1933 play Design for Living at the Gielgud Theatre. Having already worked for television, with strong parts in major UK series such as Inspector Morse (1993), Weisz started her cinema career in 1995 with Chain Reaction and then appeared Bernardo Bertolucci’s Stealing Beauty. She followed this work with more English films including Swept from the Sea,The Land Girls, and Michael Winterbottom’s I Want You. Since then she has starred in a number of films including The Mummy (1999), Enemy at the Gates (2001), About a Boy (2002), Runaway Jury (2003) and Constantine (2005). Her stage work includes the role of Catherine in a London production of Tennessee Williams’ Suddenly Last Summer and Evelyn in Neil LaBute’s The Shape of Things at the Almeida Theatre (also film). In 2005, Weisz starred in The Constant Gardener, a film adaptation of a John le CarrÃ© thriller of the same title set in the slums of Kibera and Loiyangalani, Kenya. For this role, Weisz won the 2006 Academy Award for Best Supporting Actress, the 2006 Golden Globe for Best Supporting Actress and the 2006 Screen Actors Guild Award for Outstanding Performance by a Female Actor in a Supporting Role. In her home country, she was recognized as a leading role for the film according to the nomination from the BAFTA Film Awards and winnings from the London Critics Circle Film Awards and British Independent Film Awards. In 2006, Weisz starred in The Fountain, written and directed by Darren Aronofsky. In the same year, she plans to star in a New York production of August Strindberg’s Miss Julie, playing the titular role. Weisz also has the role of Saphira in the 2006 film Eragon. Weisz is engaged to American filmmaker Darren Aronofsky. They have a son, Henry Chance, born on May 31, 2006.The couple resides in Brooklyn. Weisz previously dated actor Alessandro Nivola, actor Neil Morrissey, and director Sam Mendes. In a recent interview, Weisz expressed her admiration for Harry Houdini, David Bowie, Jimi Hendrix, Janis Joplin and Jackie Onassis, among others, but it is for singer Elvis Presley that she keeps her greatest love . In an interview for Index magazine in 2001, Weisz was highly critical of the anti-gentilism of Jewish Hollywood executives. She said, “Hollywood’s run by Jews. I was advised by an American agent when I was about 19 to change my surname. And I said “Why? Jews run Hollywood.” He said “Exactly.” He had a theory that all the executives think acting’s a job for shiksas.” And, “In some way acting is prostitution, and Hollywood Jews don’t want their own women to participate.